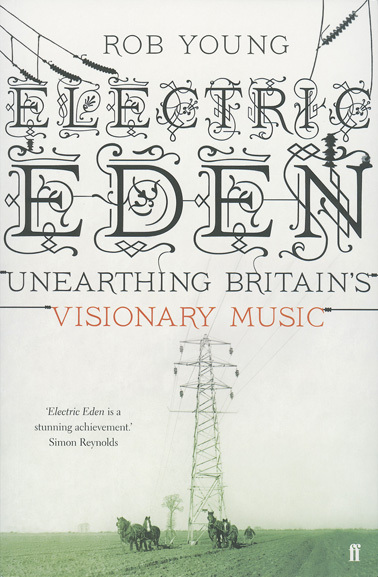 Our monthly salon series continues with a talk by The Wire’s Editor-at-Large Rob Young based on his history of folk, folk rock, psychedelia and the British imagination, Electric Eden: Unearthing Britain’s Visionary Music (published by Faber And Faber, 5 August 2010.). The talk will be illustrated with film and audio clips and will be followed by a discussion of the book’s central themes; plus DJ Jonny Trunk will be in attendance spinning the sounds of wyrd and wired Britain. London Café Oto, 5 August, 8pm, £4. • Read: Into The Woods. "Across folk, classical, pop and exploratory music, the sense of exile from Eden is key to the progress of British music in the twentieth century, writes Rob Young." Article for The Journal Of Music. • Listen: Exotic Pylon podcast. Featuring conversation between Rob Young and host Jonny Mugwump. The show lasts 90 minutes and includes a selection of music from Talk Talk, Peter Bellamy, Steeleye Span, John Ireland, Dave Cousins, Archie Fisher, Mandy Morton & Spriguns, Robin Williamson and Alasdair Roberts.